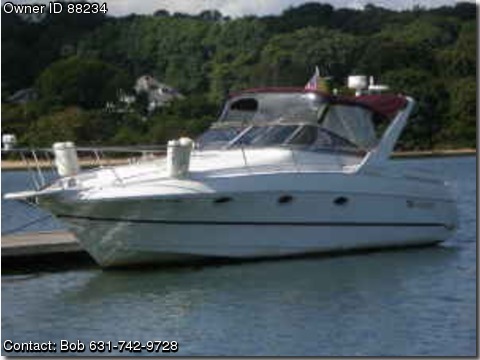 engine rebuilt 2009 and 2008 5.7ltr,RELIABLE FAMILY BOAT, Sleeps 6. Full Galley,Large V Berth, Aft Berth. Spacious Mid Cabin .Dinette, Head and Shower, Microwave, Stove, TV, Radio, CD Player etc. Radar Arch with GPS, VHF, Compas, Depth Sounder, Windless, Searchlight etc. Full Canvas, Trim tabs, Life Jackets, Fire Extinguishers and much more. Twin Merc Cruiser 5.7L 210 HP engines. Both engines have been rebuilt in the last two years.